Kirby is using Smore newsletters to spread the word online. Ludwig van Beethoven had a hard childhood. He was one of seven children, but only three survived to become adults. His mother was a kind and gentle women, but his father was a hard-driving, harsh man. Beethoven proved to be absorbed by music at a young age, but his father only supported him because he saw it as a source of income. Beethoven had to take responsibility for his family when his mother died and his father lost his job. This map of Vienna relates to Ludwig van Beethoven because he moved to Vienna when he was seventeen, and met Mozart. He even played the piano for Mozart! He didn't get to stay long on that visit to Vienna, but he returned later, for good. Although Beethoven was born in Bonn, Germany on December 17, 1770, he died in Vienna on March 26, 1827, and was buried in in Vienna' s Central Cemetery. This symphony was the last symphony that Ludwig van Beethoven made and it was nicknamed "Choral." The song "Ode to Joy" is taken out of this symphony and has a very distinct sound. Also, in this symphony there is a lot of singing starting with a man's solo and that goes into a full chorus of singing. 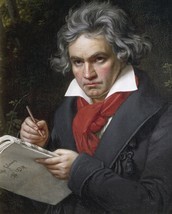 When Beethoven was 28 he started going deaf, but he would not let that stop him from writing and composing music. In the last decade of Beethoven's life, he was completely deaf, but it is said that he could compose music through feeling vibrations. To help him to feel the vibrations he would cut the legs off his pianos and put his ear to the floor as he played. Beethoven was a very angry man throughout his life and stories about his temper include him throwing food at a waiter, sweeping candles off the piano during a performance, and more. Although Beethoven never married, he wrote music and dedicated it to the women in his life. Beethoven's last words before he died were, "I shall hear in Heaven." Portrait of Ludwig van Beethoven (1770-1827), German composer and pianist, composing the Missa Solemnis, 1819-1820, Painting by Joseph Karl Stieler (1781-1858). Photograph. Encyclopædia Britannica ImageQuest. Web. 14 Oct 2015. 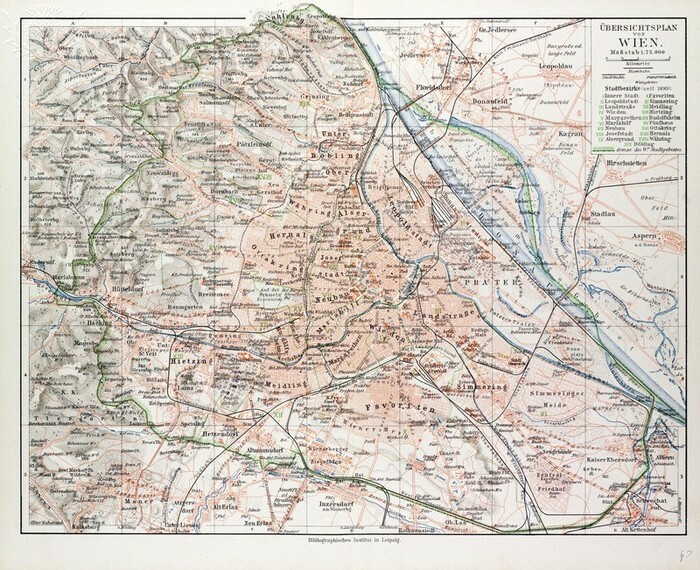 Map Of Vienna, Austria, 1899. Photo. Encyclopædia Britannica ImageQuest. Web. 14 Oct 2015. ChamerMusicTube. Ludwig van Beethoven - Symphony No. 9 in D minor, op. 125. Youtube. Youtube, n.d. Web. 14 Oct. 2015. <https://youtu.be/7-a1d0VY6NA>.